Elegantly appointed like a find art gallery, while intermingling with northern Lanna styling, this is a distinctively fresh boutique hostel. De Vieng The Gallery Hostel offers 53 super comfortable bedding with nicely appointed modern amenities. More bottom bunk beds, with only 15 top bunk beds! We also offer Ladies only Dorm. Free High Speed Internet with WIFI in-room and throughout the hostel. Coin Operated Washer and Dryer. Hair Dryers in all the common bathrooms. Bank ATM right in front of the hostel. Tour Agent in the Lobby. 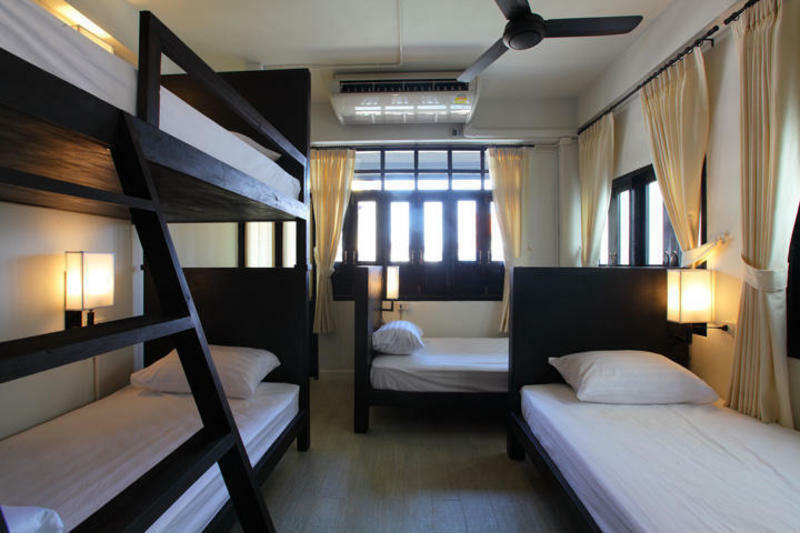 De Vieng Hostel is situated at the center of Chiang Mai City. It’s very easy to walk around the moat and comfortable to travel around the city. If you would like to go to 99 The Gallery Hotel, you can tell public driver by the hotel's name / hotel's address or show the hotel's map. 4.4 kilometers From Chiang Mai International Airport : You can take airport taxi at taxi counter in airport @120baht and the trip takes about 15 minutes. 7 kilometers from Chiang Mai bus station : You can take the TukTuk @120baht/trip or Public Red Car@100baht per person, the trip takes about 25 minutes. 6 kilometers from Train Station : You can take the TukTuk @120baht/trip or Public Red Car @100baht per person, the trip takes about 15 minutes.